Florist software provides a retail or e-commerce solution for managing florist store operations through an integrated, paperless shop management system. Florist software is a management system that facilitates and automates order entry, delivery, and back-office accounting to lower costs and increase sales specifically for florists. Florist software is geared towards small and mid-size businesses, but as it fine-tunes business operations, it can be scalable for any size shop. The majority of florist products don’t require the installation of any hardware or software as it generally works alongside pre existing terminals, programs, etc. Extra benefits of florist software include e-commerce platforms, BI tools, integrations with APIs, and inventory management, sales effectiveness, and procurement functionality. Florist reviews by real, verified users. Find unbiased ratings on user satisfaction, features, and price based on the most reviews available anywhere. Event professionals can finally curate the thousands of pieces that come with every event and be perfectly profitable. From the form on the website until picking up at strike, Curate helps the professional be in complete control. Everything from proposals that consider COGS, to rental management, to merge 12 supplier lists for a single week. It even has drag and drop from Pinterest! Finally a way that tasks can be delegated to team members with complete confidence that they'll get done. Built to complement the world of event design, Details Flowers Software is an all-in-one floral solution that is intuitive and easy-to-use. Our technology tracks costs, margins, payments, inventory, and sales while connecting our florists with supply partners worldwide. 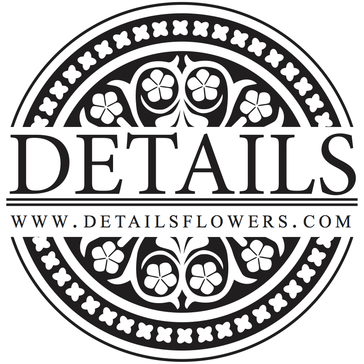 Details is the “behind-the-scenes” business partner that every florist needs to see that they are profitable on their events. Our team works with the most successful florists in the industry and these businesses trust our software to keep their operations running smoothly. FloristWare is a powerful, affordable and easy-use Point-of-Sale (POS), Customer Relationship Management (CRM) and Retail Management software system for florists and flower shops. It saves time and money while increasing sales and profits. It is the leading independent floral POS software. Floranext manages orders and customers, route deliveries, floral accounting, and more. Flower shop software built by florists, for florists. Hana POS helps run a flower shop with easily manageable order screen, customer screen, dispatch overview and driver routing screen. The Picas program has many core modules, each one focusing on a different aspect of your business. Picas modules are seamlessly connected, and include Order Entry, Purchasing, Crop Management, Inventory Control, Sales Analysis, and an Accounting suite. BloomNation is a community marketplace for people to list, discover, and send bouquets crafted by local florists across the country. Daisy is a floral management system with high-speed processing, time tracking, reporting, and more. With simplified order or ticket entry, effective marketing tools, delivery management, automatic billing and sales analysis, Dove POS is designed to help your business flourish while saving you time and money. Telefloras Eagle Point-of-Sale System incorporates user feedback and is responsive to user needs. Windward Software's Garden Center software is a simple system to help manage your Garden Center from the point of sale terminals to the accounting back office. Nursery Plant Tracking System was built for managing the actual growing of plants and all the information needed to repeat it seasonally. RTI is a floral POS software made for large shops who need customizations and support. SLICEplus for Retail Garden Centers gives your business fast and accurate information that allows you to make informed management decisions. SLICEplus for wholesale nurseries gives your business fast and accurate information that allows you to make informed management decisions. Ularas is a wedding and event software solution specifically designed for Floral Designers. The ABECAS Insight Floriculture System provides a comprehensive and user friendly system that can be configured to your needs. The ABECAS Insight Greenhouse and Nursery Management Software is an enterprise-level system that provides full operations, management and accounting support for horticultural and floricultural businesses. The ACS Nursery Sales and Inventory system resides on a secure server and helps manage and report on your nursery. UDS provides software excusively to the Green Industry. At UDS, we are a programming company that produces fully integrated accounting applications for Landscape Accounting Software, Greenhouse Accounting Software, Nursery Accounting Software, Nursery Accounting Software, Garden Center Accounting Software and POS Software. CompuPlants Gold is easy and affordable order entry, inventory, and customer software, available online only. A streamlined order and inventory entry app for mobile devices. CompuPlants Platinum offers fully-loaded modules to meet all of your nursery business needs: custom forms, reports, statements, integration with specialty modules, multi-user support and much more! Curate COGS helps event professionals increase their profitability and minimize waste. 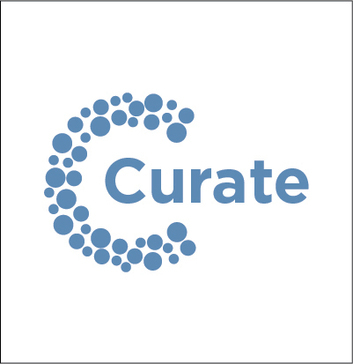 Curate Rentals helps event professionals keep track of their inventory with ease. Advanced Growers Solutions breakthrough browser-based software, Direct-to-Store, has been created to help growers that sell directly to large national or regional retailers. The FAS Pearl system has evolved from a simple, point-of-sale (POS) invoicing and accounts receivable package into an advanced management tool. The FloraMenu web-based POS system keeps control over sales and inventory. Florist Window works for a company no matter how large or how small, working together they keep local florists on the traditional and digital high street. This program reduces paperwork to increase productivity of retail floral shops and independent florists. Built specially for florists, this cutting-edge flower shop web solution from vSplash helps you start your very own store quickly and easily. flowerSoft Silver is a user-friendly florist productivity tool that can be used my many different sized florists. Flower Store in a Box is an innovative product developed by enflexion to give florists the cost effective ability to maximise their profits by cost effectively selling flowers online. Floral Frog is an all-in-one Florist management software package with an integrated payment solution. The Mercury Network provides FTD Florists with telemarketing services and PC-based business management applications software. Grow Point introduces new and exciting applications to help businesses manage volumes of financial, inventory and accumulated sales data. IRIS Floral POS has next generation order entry interface, helps manage customer information and inventory, process credit cards and many more features to help run a flower shop. Komet Sales is a simple, user friendly system that allows you to buy and sell flowers. The Live Goods Merchandising Solution gives the grower the tools to get information on incoming shipments, in-store instructions and special projects out into the field. Lobiloo is a floral arrangement planning software that helps florists estimate costs and create designs. Lovingly provides sales, marketing, and design systems for florists. The MAS Direct Network system is a fully integrated floral integrated management system consisting of order processing, marketing, accounting, delivery and many other features. Manage your inventory, orders, and customers with our Plant Nursery Software. Picas Enterprise is a production system for operations requiring comprehensive automation in the horticultural industry. Starcom uses our Plant Partner Enterprise software system to help organize and integrate your operation into a smooth work flow. Everything you need to do, you can do it right from the same window. Email, tags, reports, inventory, orders, you get the picture. Hi there! Can I help you find the best Florist solutions?